Mauritius Unitus Corporation and Mutual Benefit Trusts are the other entities that have been removed from the promoters list. 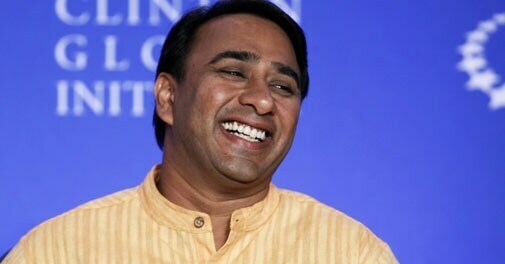 SKS Microfinance has said it will cease to treat a few entities, including Vikram Akula and Sequoia Capital India Growth Investments, as its promoters.
" ... taking cognisance of their (entities) requests and instructions, the company shall cease to treat them as its promoters with immediate effect," SKS Microfinance, the only listed microfinance company, said in a filing to the Bombay Stock Exchange on Friday. The microlender said that Mauritius Unitus Corporation and Sequoia Capital India Growth Investments have entirely divested their shareholding in the company and do not currently hold any equity shares. Akula was previously the executive chairman of the board of directors of the company. He resigned as a director of the company on November 23, 2011, and currently holds only 10 equity shares, the filing said, adding that he does not have any special rights in the company through formal or informal arrangements. "Akula has informed the company through an e-mail dated April 24, 2014, that he is not a promoter of the company," the filing said. The company's Mutual Benefit Trusts include SKS Mutual Benefit Trust Medak, Sangareddy, Jogipet, Narayankhed and Sadasivapet. "The Mutual Benefit Trusts do not have any special rights in the company through formal or informal arrangements, except such rights that are available to every public shareholder of the company," the company said. Shares of the company on Friday closed at Rs 233.25, down 2.41 per cent on BSE.